Just Sew Fabrics specialises in the design and production of beautiful bespoke hand made curtains, blinds and soft furnishings. Whether you're looking a period set of country curtains or unique handmade blinds for your living room or kitchen or maybe something more modern and contemporary, Just Sew Fabrics will strive to compliment what you are looking for in your ideal home or office. 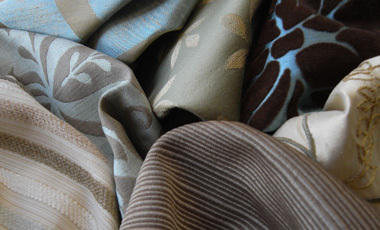 The professional service we provide covers lined and interlined curtains, blinds, pelmets, throws and cushions. We deliver an alteration service to existing products, such as re-lining and size adjustments.